Do you wish your Accountant held genuine Food Industry experience to add real value to your Business? 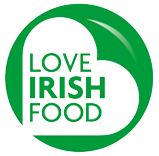 Aidan is also a current and founder Director of Love Irish Food, the leading umbrella organisation for the promotion of Irish manufactured Food & Drink products. At OBK we can provide cost effective tailored solutions for all types of Food Companies. OBK will set up your business for you, advise on the appropriate corporate structure, manage all your registrations and authorisations (both financial and non-financial) all for a competitive price. OBK will prepare your Annual Financial Statements in a timely and efficient manner and arrange all the necessary filings to ensure compliance with your statutory obligations. OBK will manage all your operational Tax requirements including VAT, PAYE/PRSI/USC, and Corporation Tax as well as advising your employees on Personal Tax matters and refunds. We will also assist in preparation and management of a Revenue Audit process. Small Food companies need a Business Plan as a road map for their development. OBK will act as your Strategic Partner in the preparation of your Plan including the Financial, Sales, Marketing and Operations components. This service includes the creation of a Zero-Based Budgeting tool for your business. OBK has extensive knowledge of the various Grants/Assistance programmes that are available to Food Companies at the various stages of their development. We will assist you in producing the most effective communications to maximise your grant/assistance raising potential. Many small Food Companies find it difficult to calculate their expected profit from the products they produce and sell. At OBK we will utilise our extensive experience to assist you in ensuring that your products actually will make the margins that you think they should. Food Accounting is unique and modern Financial Reporting systems may not be structured to give the clearest representation of the activities of a Food business. OBK will review your operation and devise a Chart of Accounts that accurately reflects your operation and will give a much clearer picture of your company’s operation. Most small Food companies do not have the time to aggressively target their cost base. OBK will target significant cost savings in areas such as Energy, Procurement and Back Office costs. Do you know what the Retailers are promoting and what depth are the promotions ? We can tailor specific reports for your Category. Can you really afford not to have this service ? Cash is king and at OBK we can review your Working Capital exposure and outline clear strategies for reducing your exposure. At OBK our founding partner Aidan O’Byrne has played a central role in some of the major Irish FMCG corporate transactions of the last decade. Let your business tap into his experience for both buy and sell side activity. At OBK we have extensive practical experience of managing Banks expectations and negotiating restructuring programmes in times of difficulty. Let our experience increase your piece of mind. At OBK we have teamed up with some of Ireland’s leading XBRL experts to provide you with a complete cost effective solution for your tagging and filing requirements. Are your Investors and other Strategic Partners happy with your Reporting ? OBK will utilise its extensive experience to develop bespoke reporting packs covering Financial and Non Financial data. Your reputation will rise with your Investors!